I belong to a collaborative group of educators that connect on a daily basis using a mobile app called Voxer. The app allows us to converse about important educational issues, and to network as professionals. One of the powerful features of Voxer is that it allows users to share their voices (and not just 140 characters of text). We recently created T-Shirts for our group…but the fun did not stop there. We published a collaborative video using TouchCast and linked the video to graphics on the T-Shirt using two augmented reality apps. The image below is a trigger that can be activated using the Daqri app. After you download Daqri, point your viewfinder at the state map and an interactive experience will launch! Download Daqri and see what the MN Educators are up to…we dare you! Use the Daqri App on this trigger to view Augmented Reality experience. We also used the Aurasma app to create an additional augmented reality experience. Download Aurasma and “follow” the Greenwood Elementary channel. This will allow you to interact with the T-Shirt’s main logo below. Be sure you are following our channel in order to view a video featuring more than ten teachers and principals across the Midwest. Use the Aurasma app and be sure to “follow” the Greenwood Elementary channel to view. By combining Voxer and augmented reality we were able to feature several of our group’s team-members in the video powered by TouchCast. Now that is some MAJOR app smashing!! 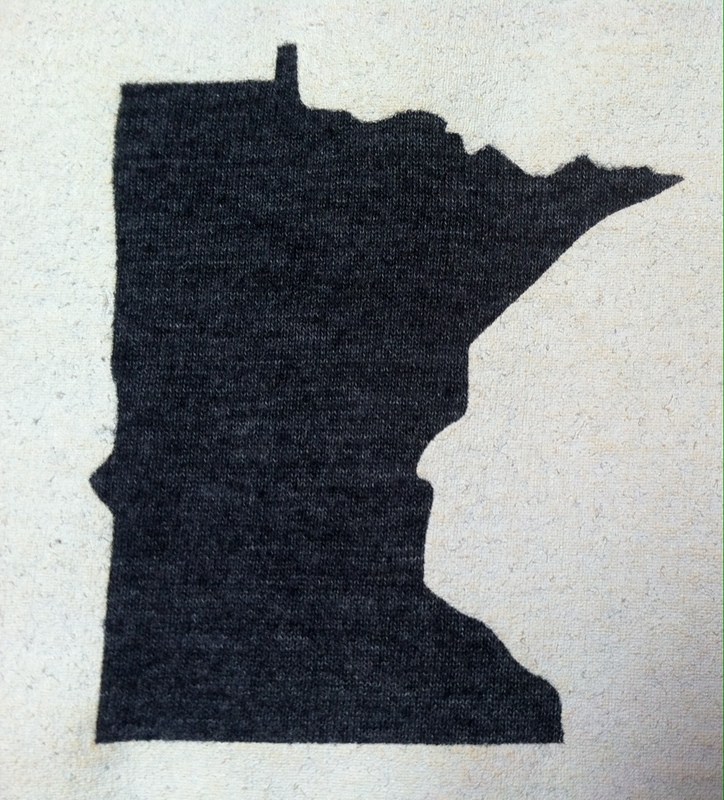 If you happen to meet a member of the MN Educator’s Voxer group at a local conference be sure to say hi…and don’t forget to test out the augmented reality on the shirt’s logo. **Special thanks to Brad Waid (aka @TechBradWaid on Twitter) for support creating the Daqri experience. **Huge shout-out to Aaron Schmidt (aka @Schmiaah on Twitter) for designing the T-Shirt logo. Click the yearbook page above to see an example of the AR content you will find! Walking the hallways at Greenwood Elementary I often say, “It’s an amazing time to be a student.” Meaningful opportunities to connect and create using new mediums abound. Students can use digital tools to take their learning to new levels. This year they can do the same with their yearbooks! Students that ordered yearbooks will receive them this week. In addition to the traditional fun of exchanging autographs, kids can experience some supplemental digital content by following the directions below. 1. Download the Aurasma App on an iPad or SmartPhone. 3. Aim your iPad or SmartPhone’s Aurasma viewfinder at the yearbook to begin hunting for the bonus photos and videos. There are 30+ Augmented Reality photos/videos embedded in your child’s yearbook. Some of the AR photo links may be sensitive to ink smudging, so avoid excessive scribbling to preserve the functionality of embedded videos. Can you find the Principal’s video greeting on page 1? Find the 5th grade musical, Annie, and you’ll get footage from the show via the Aurasma app. Locate our Head Custodian, Jesse Husby, and watch the picture of him in -45 degree windchill transform. Brrrr!! Search for Police Chief Mike Goldstein to hear a special message to our students about DARE. Look for the surprise engagement photo with one of our teachers. Check-out the Home Base & Bright Start preschool video highlights. If you search long enough you’ll even find hidden Field Trip footage from a winter trip some students took. Each 5th grade classroom has a virtual tour linked to their class so our “graduates” will always remember their elementary years! Every grade-level has at least one AR surprise to find on their grade-level yearbook page…good luck! Special thanks to our PTA yearbook chairperson, Kari, for the countless hours she invested into the yearbook this year. Kari and her team compiled some really great pictures that will help us all remember what a fantastic year this was. She was extremely collaborative and worked to make it possible to add AR surprise content to the yearbook. (If you lose this blog post she included directions for downloading the Aurasma App to the fist page of our yearbook.) A big thanks to Kari and the entire PTA team…we are so thankful for your support! Students love field trips. They love the change of pace as well as the chance to visit places they might not otherwise get to see in person. 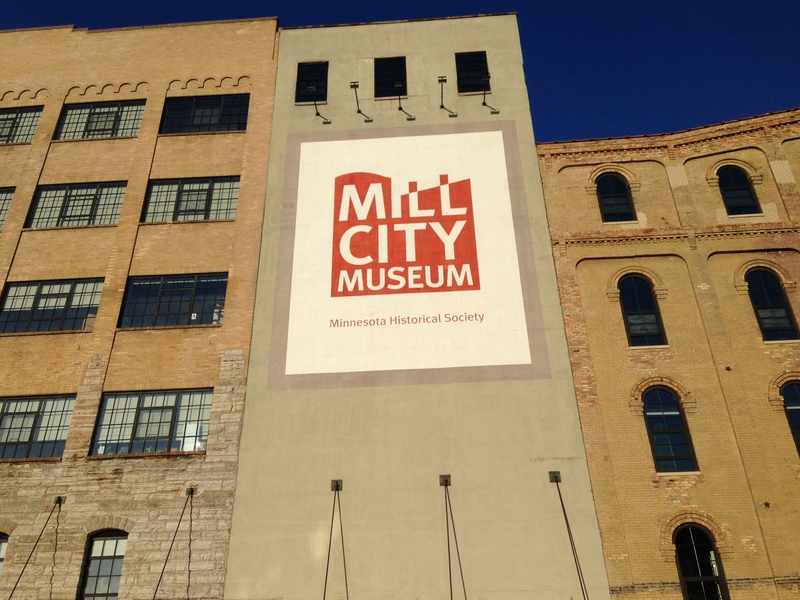 I recently went on a “date night” to the Mill City Museum in Minneapolis, Minnesota. 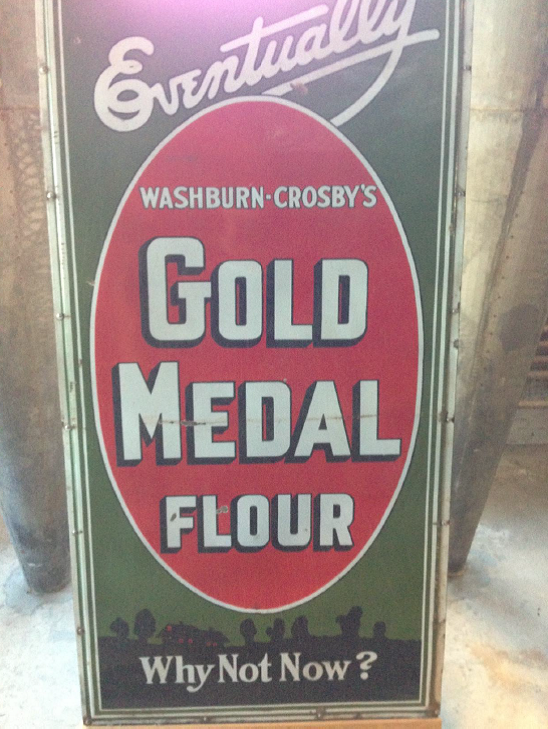 (The museum is also a place our school has taken our 5th graders in the past.) The date started out great…and things really got exciting when I began listening to another principal as we brainstormed all the ways Augmented Reality could be used on future field trips with students. By-the-way, Augmented Reality is a technology used to add supplemental digital layers of content to virtually anything. 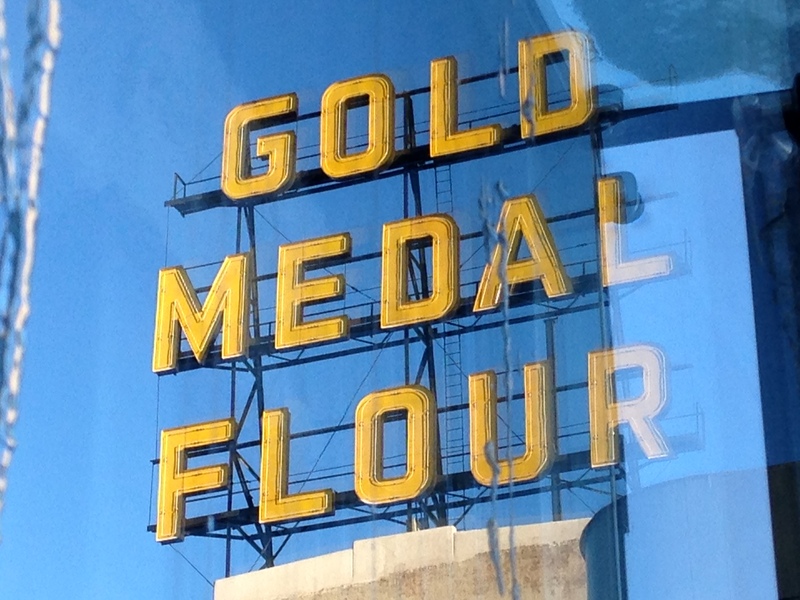 The view from the observation deck at the top of an old grain elevator was breath-taking…I felt as if I could reach out and grab the Gold Medal Flour sign that towered above the boulevard. As we took in the rich history of the museum, I began recording video greetings with information and questions for students. I even integrated some of my own childhood memories into the recorded messages as they pertained to the exhibits. After I got home I linked the video messages to photographs I took at the museum using the Aurasma app. The next time our students go to the Mill City Museum for a field trip they can experience a surprise from their principal! I’m even more excited to see the types of Augmented Reality content or scavenger hunts that our students could create on a field trip! With the technology and support we’re providing them they could document their learning in new and innovative ways. How have you used educational technology to meaningfully enhance the student learning experience? I’d love to hear your comments! The photographs I took above now serve as AR triggers. Use the Aurasma app and follow the Greenwood Elementary channel to view. Double-click each photo to enlarge it; then let Aurasma do the rest! Click the picture to download the complete PDF for the Phases of AR in Education. Last evening I was engaged in a collaborative discussion on Twitter with two connected educators; Brad Waid and Kristen Eveland. We were discussing the possible phases of Augmented Reality (AR) in Education. The diagram above represents many of the ideas we brainstormed, and if you click on the image you’ll see a more complete PDF with one possible application of AR. It’s important to point out that the phases are not intended to represent a hierarchy, and as such the “Awareness” level seemingly encompasses all of the phases. There is certainly a comingling between different phases; certain Augmented Reality apps are inherently more equipped to allow for “Creation” than others. However, I strongly feel that innovation is possible with most of the AR apps available to educators today. What I valued most about our dialogue wasn’t the topic (although I LOVE the possibilities that AR presents). I appreciated the deeper reflection and questions that our exchange generated. Late in the evening on a Saturday night we were brainstorming the hows & whys of a game-changing tool. It was also clear that the comments that Brad and Kristen shared were in support of creating an engaging student learning experience. Connecting with fellow educational leaders to reflect on our practice and discuss the purpose of what we are doing for our students is one of the many things I value in my Professional Learning Network (PLN). A special thanks to @TechBradWaid & @KEveland2 for their sharing. What are your thoughts on the phases of AR in Education? What did we miss? 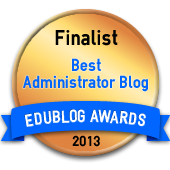 Click the picture above to make your 2013 EduBlog nomination. Brad Waid and Drew Minock join forces to collaborate, connect and inspire educators across the country. 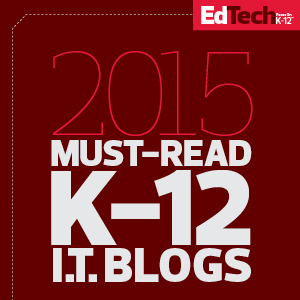 Their blog is filled with quality resources to support meaningful technology integration in the classroom. The dynamic duo also host a weekly podcast called The Two Guys Show. I had the pleasure of experiencing their engaging energy during the live broadcast of Episode #11. These guys not only walk the talk, but they empower others to join them in making a 21st century difference for kids! Todd Nesloney is a 5th grade teacher in Texas. His blog offers genuine insight into his journey as a teacher and connected educator. He wears his heart on his sleeve and possesses a passion for learning that oozes out of the words in his blog posts. Todd was gracious enough to create a custom author’s greeting for our school that we linked to his inspiring book, Spruce and Lucy, using Augmented Reality and he’s also a contributor to the #WorldBookTalk project on Twitter. Jimmy Casas is a transformational school leader in every sense of the word. He’s a high school principal in Iowa that approaches his work and writing in a very purposeful way. I love Jimmy’s relational approach and have taken many of his blog posts to heart. His blogs have inspired me to take action and continue to enhance my learning. Knowing Jimmy and reading his blog has made me a better leader. Rafranz Davis is one of the most collaborative professionals I’ve had the pleasure of learning from on Twitter. Her Tweets are a “cornucopia of tech-goodness.” I’ve named her my unofficial WordPress blog mentor and appreciate her perspective and sharing. 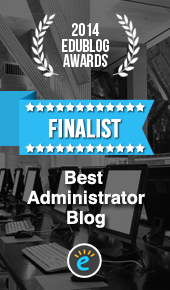 Without her support and encouragement I’m not sure that you’d be reading this blog post today. Curt Rees is a principal in Wisconsin and technology “triple threat.” Some of the most engaging educational technologies that I’m learning about have been shared from Curt. Whether he’s rapping with Smule’s Auto Rap or creating student podcasts using the TouchCast app….it’s bound to be worthy of a “mic drop.” When Curt is not dominating the recess kickball field he’s busy co-hosting the Techlandia Podcast. Tony Sinanis is the lead learner at Cantiague Elementary in New York. He’s also one of the most fun and student-centric principals I’ve ever hung out with (virtually). His weekly school podcast segments truly amplify student voice! I was so inspired by some of the communication tools he’s using to enhance the student learning experience that I connected with Tony and another connected administrator in New Jersey to create a cross-state student podcast project we affectionately refer to as 3 Leaders Making Videos. Having Tony in my Personal Learning Network (PLN) has turned up the “fun factor” at school while connecting our students to other schools across the country! Aurasma is an Augmented Reality app that allows students to create their own supplemental virtual content and attach it to any trigger image. It is one of the most engaging new educational technologies I’ve seen in my career, and it offers limitless possibilities. Our school is using Aurasma to celebrate student creativity by embedding art talk videos into a student gallery. We also used Aurasma to create the World Book Talk project. Click HERE to see some other ways we are leveraging Aurasma to engage students in their learning! Needless to say…with Aurasma the future of education is full of limitless possibilities! Click the pic to view episode #11 of the show. Greenwood Elementary is filled with talented professionals committed to the success of each and every child. Connecting with students and staff on a daily basis is one of the priceless privileges I have as principal. Click on the photo above to view a recording of the live show. We had a blast discussing meaningful technology integration, Augmented Reality (AR) and making a difference for kids! A memorable moment from the show for me was the “AR Ambush” that occurred. You won’t believe how cool Brad Waid was under pressure and how he reacted to the Augmented Reality surprise! I’d be remiss if I didn’t thank the entire team at Greenwood Elementary for the passion they bring to our shared journey together, as well as the countless others that enrich my Professional Learning Network (PLN). Click the photo above to watch the video: AR in Education. Our school is innovating to enhance the student learning experience. Click on the photo above to see how! We’re utilizing Augmented Reality (AR) to connect at a deeper level with stakeholders while relying upon meaningful technology integration to promote 21st century skills. AR in education is about possibilities and relationships. In case you were wondering, AR is defined as a live direct or indirect view of a real-world environment whose elements are augmented (or supplemented) by computer-generated sensory input like sound, video or graphics (Wikipedia.org, 2013). 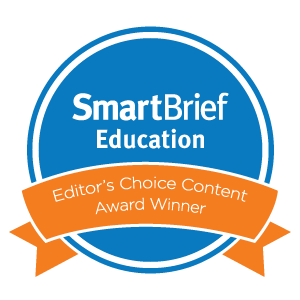 We are seeing more and more value in this cutting-edge educational tool. We’re connecting with parents and school systems across the country in unprecedented ways. My vision is to engage each and every student in a personalized 21st century educational experience marked by high levels of learning, creativity, positive character development and unceasing opportunities to collaborate in a technology-rich environment. AR is one way we’re connecting with students. 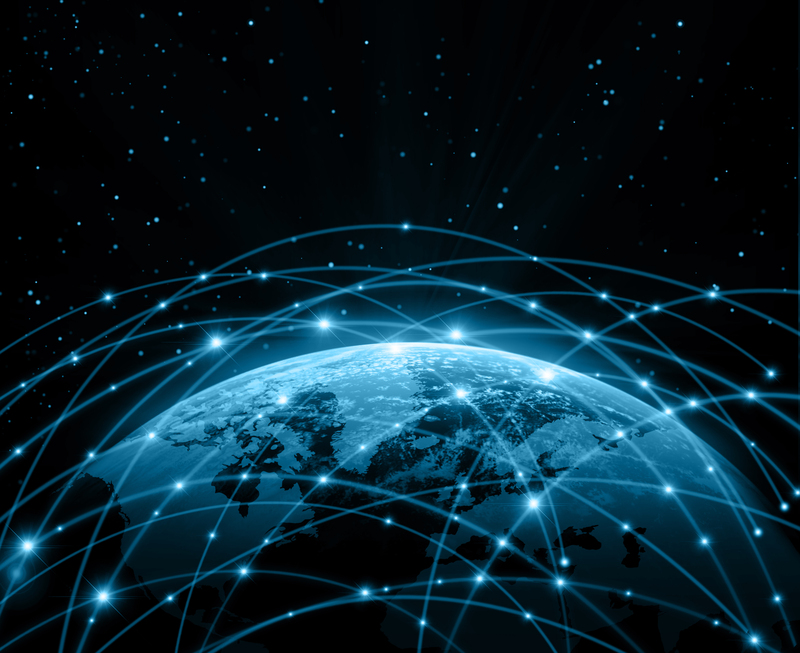 The technology itself is astoundingly immersive and we are seeing that first-hand. Share your AR story and questions by leaving a comment. Who: Students, teachers, principals, authors, grandparents; anyone that loves reading! What: Record a 60 second book talk video of your favorite book. Any book you’ve read will do. When: We are launching the AR Collaborative now. Feel free to e-mail your videos anytime. Why: To foster a lifelong appreciation of reading while modeling meaningful technology integration. Book talks also activate students’ prior knowledge and help them make important connections to a text. Speak loudly and be clear while creating your 60 second video. The target audience is PreK – 12 students. Be creative & have fun. Your audience will sense your passion for the book and its theme. Mention the title and author during your book talk. Students creating videos should only mention their first name. The beginning of your book talk video should include a “hook” or attention grabber. If you have a special connection to the book or author you could mention that. Plan your closing in advance so it’s clear and keeps potential readers interested. Book talks help readers make decisions about what to read; do not give away your book’s ending. Please remember to keep videos to 60 seconds or less. Looking for a way to integrate cooperative learning, research, tech integration and FUN into a super cool “autumnal lesson of awesomeness?! ?” Click the link below to take the challenge! 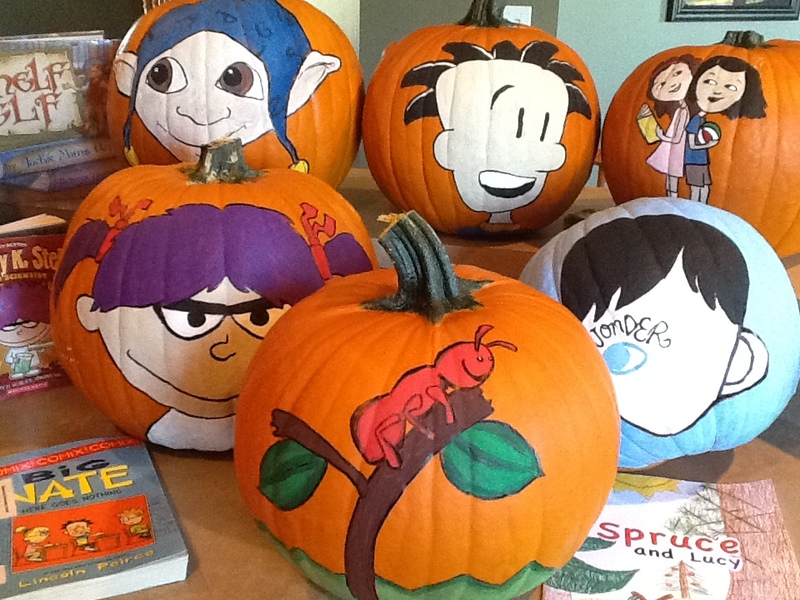 Several years ago I combined my passion for art and reading to create some “Literacy-o-Lanterns” that were displayed in our Media Center. The tradition continued each year until I had amassed quite a few pumpkin pics. Through collaboration with our school’s magnificent Media Specialist, talented Technology Para-professional and book recommendations from my own children the project evolved into this year’s challenge. The challenge is simple…students are to work cooperatively in teams to complete a chart representing various authors and storybook characters. 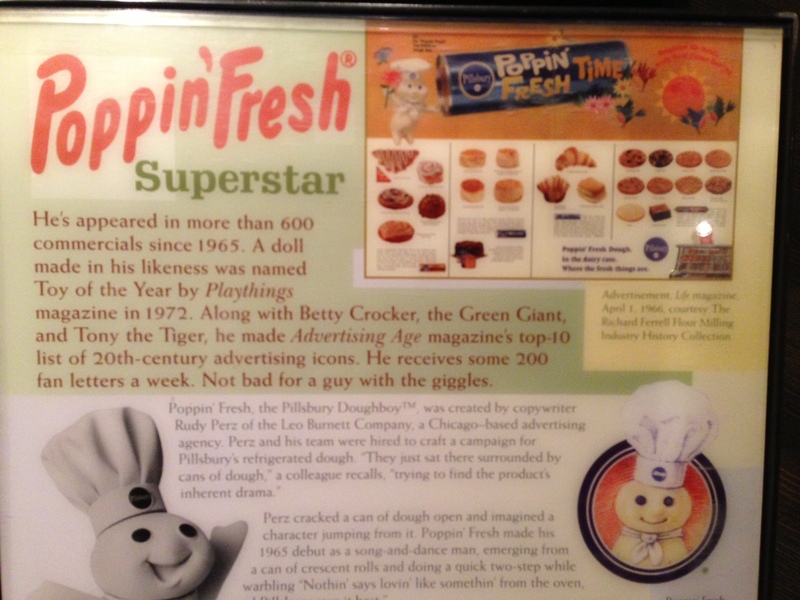 The characters range from classics to newer student favorites! This activity is ideal for a classroom that has access to at least one digital device for research (iPad, BYOD, or desktop computer). However, technology is not required to participate. This year we’re taking the fun to a whole new level using Augmented Reality (AR). You might be wondering, “What’s the deal with this Augmented Reality stuff I keep hearing about? !” FANTASTIC Question!! 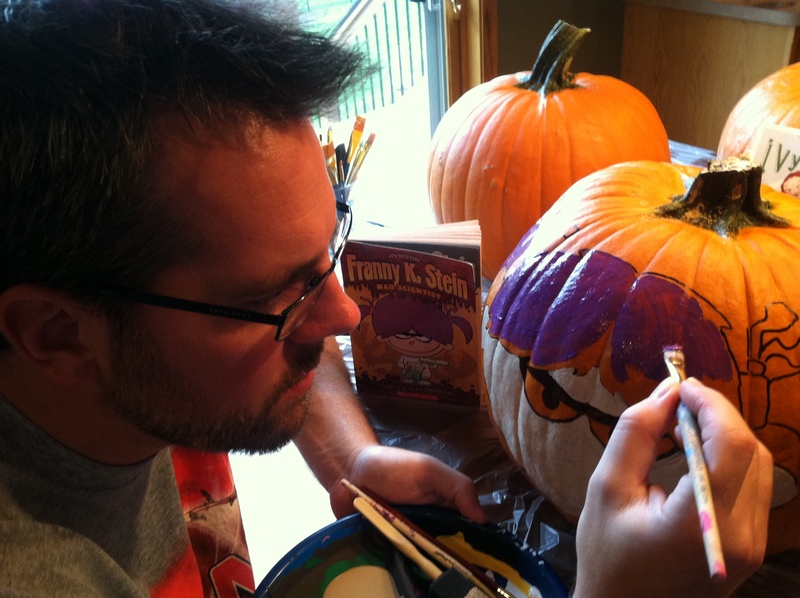 The Great Character Carving Challenge is powered by AR. This means that if you follow three easy steps your students will be able to access some additional book clues and YOU will be able to see this lesson’s learning targets. The technology has been meaningfully integrated into this activity to engage students and to support their learning. Besides that….AR is just plain cool! For me, the technology represents possibilities, creativity and new learning (all really good things if you’re a principal). 1.) Download the app called Aurasma on a mobile device. 3.) 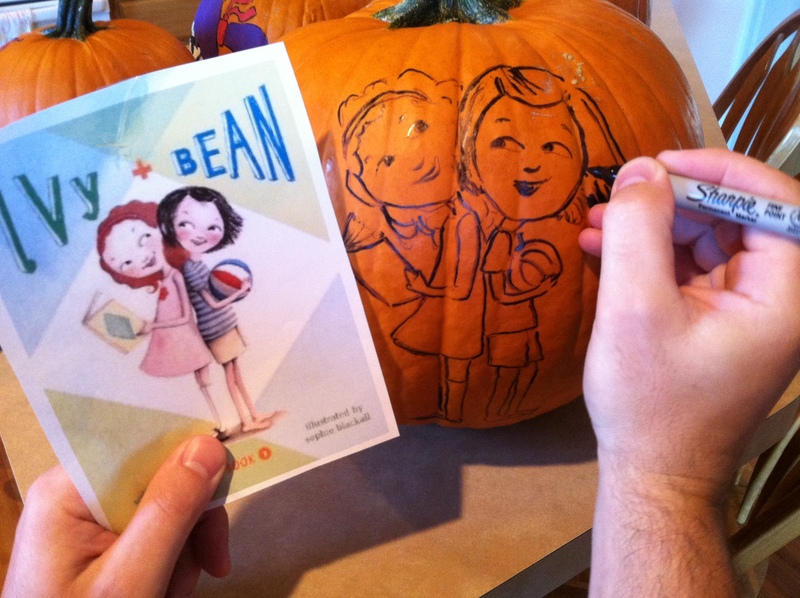 Open the Aurasma app and aim viewfinder at the pictures of the pumpkins on the PDF (see link above)! **If you need ANY support in accessing AR please don’t hesitate to contact me via Twitter @GustafsonBrad. Some of the “Clues & Book Facts” spaces on the chart have been left intentionally blank…they’re open-ended for a reason. Use the blank spaces to customize this activity to skills your students are working on (author’s purpose, genre studies, digital citizenship and more). Challenge students to dig into their research and cite multiple sources as time allows! I’ll update this post closer to Halloween with some possible answers for the chart that’s on the PDF. Here’s the link to the challenge once again…HAVE FUN! Before reading the book we used Augmented Reality to share a personal message created just for Greenwood Elementary students. Using the Aurasma app and our iPads we linked to Todd Nesloney’s uplifting greeting via the “About the Author” picture in his book. The video greeting featured an inspiring message where individual students were encouraged to, “Own their genius.” Nesloney credited Angela Maiers for the mantra, and it aligns perfectly with our school’s anti-bullying plan. Our school is taking a stand against bullying! The approach we will use is based on the Olweus Anti-bullying program. Parents can support our efforts by familiarizing themselves with the definition of bullying and supporting terms below. Bullying: “Bullying is when someone repeatedly and on purpose says or does mean or hurtful things to another person who has a hard time defending himself or herself.” It’s important to note that a person can be a target in one setting and then demonstrate bullying behaviors in another setting. Target: A person that is experiencing bullying (we do not use the term victim). Bystander: A person that is nearby when bullying occurs. We are empowering students to take-a-stand instead of standing by. Stop: A bystander or target can tell a person that is bullying to “stop.” Pointing out that a bullying behavior is “not cool” and “not funny” is another way to show support for somebody being targeted. Walk: Students that are targeted should walk to the nearest adult for support. Bystanders may also accompany them for support and encouragement. Tell: Explain the situation to an adult. In addition to parents and teachers, our school social worker and the principal can help. Talking about a problem is an effective way to begin addressing it, and we will join with our school community to take-a-stand against bullying. In a different classroom a student approached me after the presentation and quietly shared, “I learned from the story that even though we are kids and small on the outside, we can be big on the inside.” I was SO PROUD of this student’s courage and thinking. My sense was that he would be a champion on the playground throughout his elementary years; a perfect example of what an empowered bystander can be. It was humbling, inspiring and amazing all rolled into one. On behalf of our entire school, please know that we posses an unswerving commitment to supporting the growth of your child’s “whole person.” Creating a safe learning environment where your child’s unique talents and attributes are understood and celebrated is just part of this endeavor.